Where can she hide? In this world teeming with unusual creatures walks the most exotic of them all. His name is Rio. A native of the forest imbued with a fierce prowess, he is something to be desired. Possessed of secrets of his own, he is something to be feared. Whom can she trust? As Rachael's past looms as oppressively as the heat of the forest, and as Rio unleashes the secret animal instincts that course through his blood, Rachael fears that her isolated haven has become an inescapable hell. 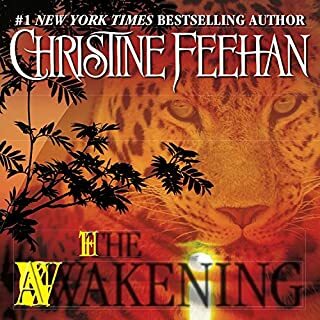 Listen to the first book in this series: The Awakening (Unabridged). ©2009 Christine Feehan (P)2009 Brilliance Audio, Inc. 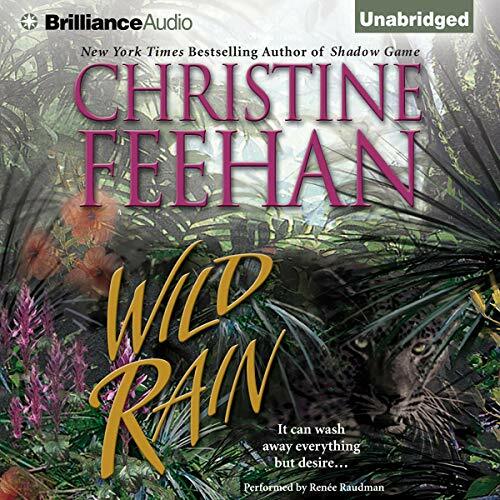 I really loved wild rain and if fan of Christine Feehan books you will enjoy and this book much I do and I really enjoys to her book when I’m out about running errands or when I’m in grades or laying bed or doing school at home. 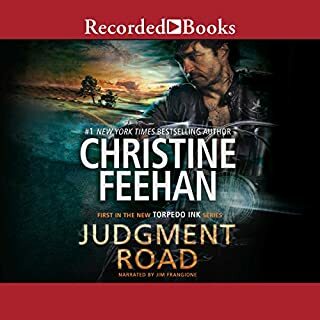 This is a good Christine Feehan story, her Leopard series is a favorite. Renee Raudman is an awesome narrator. She doesn't just read the story, but she enacts and lives it. She characterizes the different protagonists with skill. I enjoy female narrators with a deeper voice that Renee has. She pulls off dry sarcasm without sounding at all whiny. She also narrates the Kate Daniels series by Ilona Andrews - which are also an awesome favorite! 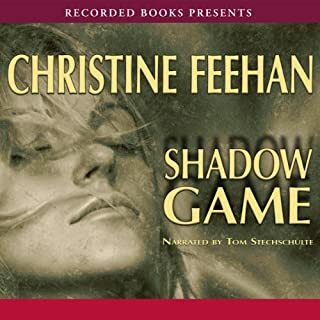 This is one of my favorite Christine Feehan novels. I'm not too crazy about the narrator, but she does an okay job. I agree with the previous review--Rio always seemed angry; there didn't seem to be a lot of difference in his emotions. I do highly recommend the book, though, if you like the shapeshifter/romance genre. It was so difficult to listen to this narrator. Didn't they have a producer to review Renee's work. She is horrible. Good grief, she made the leading man sound mad and angry all the time. 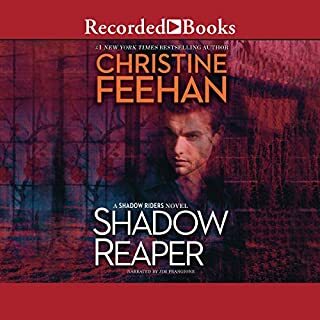 I would avoid any audiobooks with the narrator. The narrator did not help the character development. Seemed like Rio was always mad. No connection with this story !! I struggled to finish...I read this book when I was younger and back then it seemed so much better but after listening to it I was trying to see what exactly I liked so much about it. 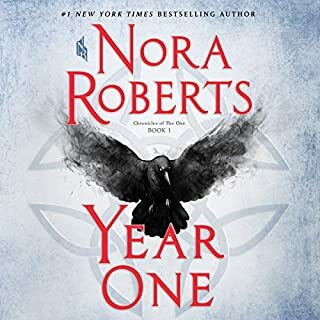 it was ok it just seemed like something was missing for me but I did enjoy the narrator she did a wonderful job bringing the characters to life I would totally listen to her read another book. Right off the bat, I want to address the narration. She’s not a horrible narrator and it wasn’t so bad that I couldn’t enjoy the book but, she didn’t fit; especially for the males. It made a potentially great book into a good book. I did find the relationship between the human and jaguar side of the characters interesting. They were two different entities that shared the same body. It wasn’t one person who could take two forms. It was up to the human side to keep the animal side, in check. I did feel like the Heroine’s reluctance to come clean with the Hero annoying. This man is your soul mate, you should be able to trust that you’re other half would be able to accept every part of you and your past. I also did not like the way that the Heroine seemed unable to filter her mouth. She was rude and didn’t seem to be able to discuss an issue without getting over emotional; a pet peeve of mine. Oh well, overall, I found this a fairly unique storyline and I’m looking forward to book two. The only thing that confuses me is that this group of shifters which live in the setting of the Carpathian’s Vampires and Jaguars, in the Dark series, doesn’t seem to be aware of the other supernatural beings, they live around. Not to mention, if the timeline is parallel to the Dark series, which it seems to be, how is it that the Leperds have stay ignorant of the turmoil going on in the rainforest? Of course , I’m assuming that the two timelines are running parallel; perhaps I’m wrong. I suppose time will tell if there is any intersection of the plots, of the Dark and Lepord series. 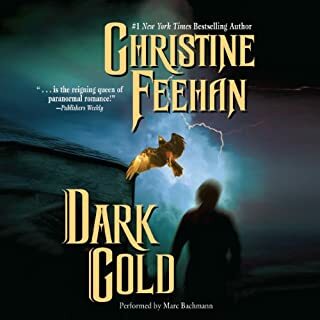 Christine Feehan does it again!